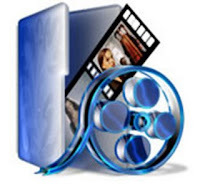 This time I will tell tips and tricks about how to capture screenshot from RealPlayer. If you wanna take snapshot from *.rm video file, but you don't want toconvert video file first to another format file, you can take it using RealPlayer. Make sure to Disable optimized video and overlays with take the bar button to the leftest side. See the picture below! Next restart the RealPlayer. After that open again RealPlayer, better using fullscreen. Pause the video on the image or picture that wanna to take. Then press "PrintScreen (psc/prtsc)" button on your keyboard. Safe that file on format that can you choose. Now you get the snapshot image you want. To maximize the result of image, edit it using Photoshop or Microsoft Office Picture Manager. Crop the image according u wish. Thank U. Thanks for providing the information about the how take a snapshot video on Realplayer.